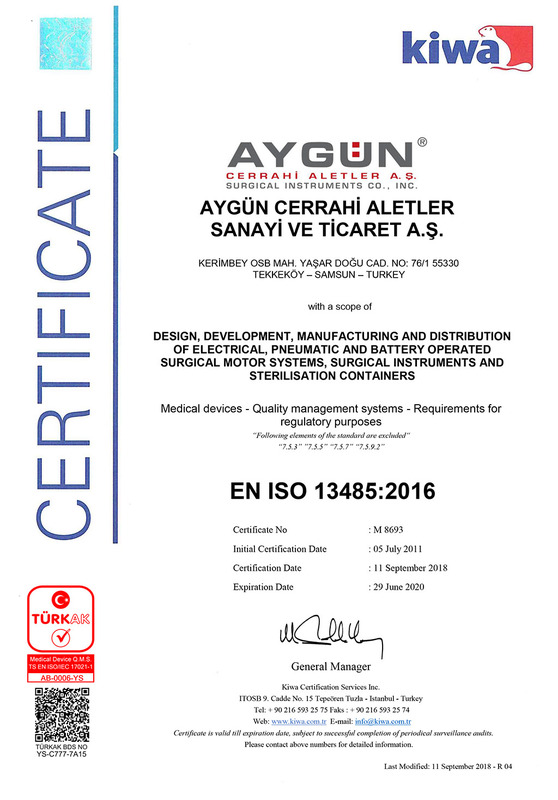 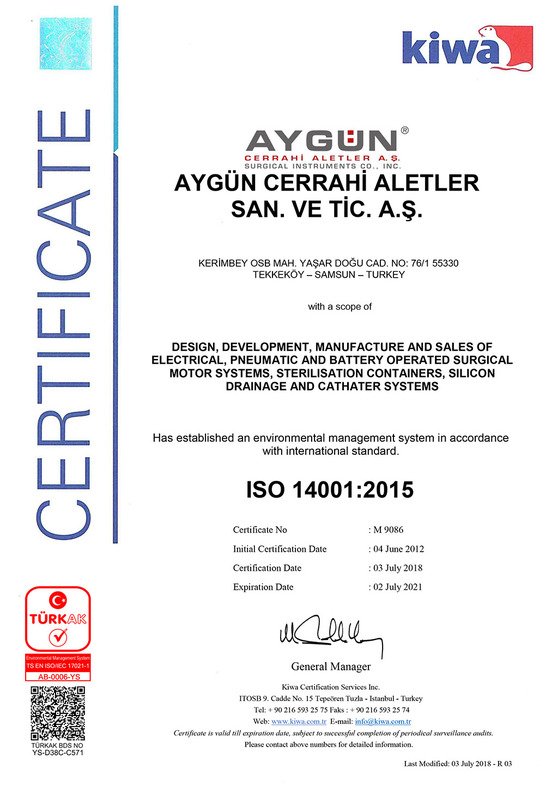 AYGÜN, meeting needs or surgeons and giving particular importance to the health and safety of patients with its expert team and its products appropriate to the world standards, perform its production in accordance with ISO 9001, ISO 13485 standards and CE 2007/42/EEC directives. 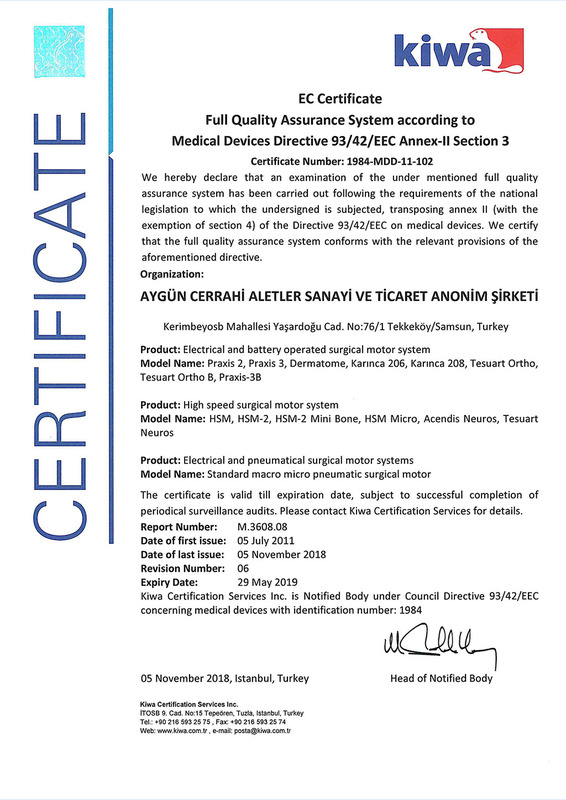 As an additional to these standards and directives, it also have FDA 510 (K) approval. 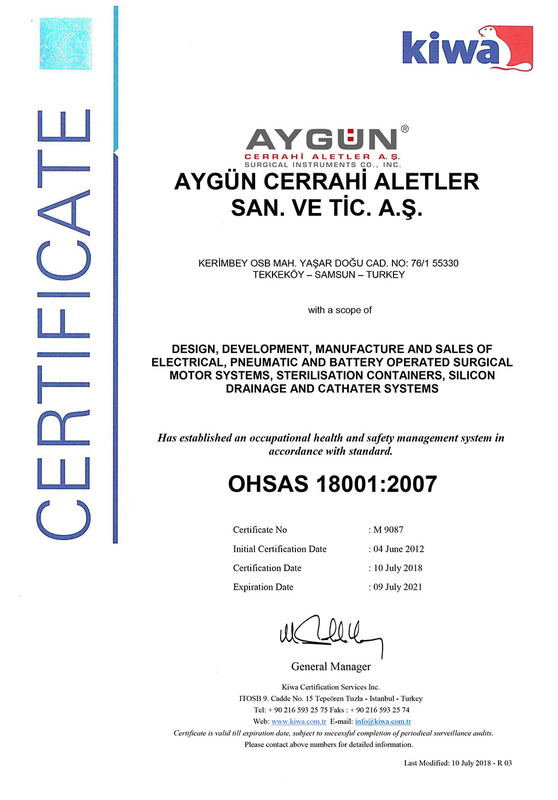 Within the scope of Integrated Management System Policy, it has taken all needed precautions about Quality, Environment and Occupational Health and Safety with a management approach identified by objectives and certified for these requirements. It determined its working principle in consideration of legal obligations and fulfills all production conditions suitable to these obligations.